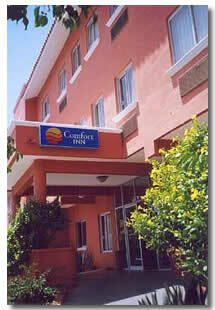 The Comfort Inn Los Cabos is another hotel right in the middle of everything in downtown Cabo San Lucas. This is not a s cheap as other budget hotels in Cabo, but still saves you a load of money compared to the beach resorts and hotels. Not only does the hotel save you money with it's prices but you won't need to get cabs or rent a car. Everything is within walking distance from the hotel. Being a little bit more expensive than the other budget hotels at around $110 a night you get a few more things in your room. One noticeably is a portable television with satellite tv. Although being right next to downtown Cabo we didn't watch much tv. Between the sun, and the Tequila there was never enough time for tv. We got a complimentary breakfast every morning as well. It just has that little bit extra for you as opposed to the other budget hotels. If you want you can have more food on your breakfast, or something different if you pay for it. The pool gets a bit better at the Comfort Inn Los Cabos as well. We had better furniture to relax on, and there's a swim up bar. The pool doesn't have any heating so if you do like a swim it's probably best to go in the warmer months. 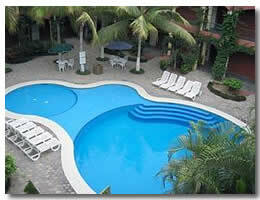 As the temperature drops the unheated pools are a little cold sometimes. The staff are friendly here, Felix being the one I remember the most. He was the breakfast server, and nighttime bartender. The beach was only 10 minutes walk away which isn't really that bad. El Medano Beach is a great day out. You get entertainment as well as activities to enjoy. The wave runners are non-stop fun. Then it's just 10 minutes back to the hotel, and get ready for an evenings partying, Cabo style. You'll spend a little bit more at the Comfort Inn Los Cabos, and it does show compared to the other budget hotels in Cabo San Lucas. So where you want to stay depends on how much you're willing to pay. 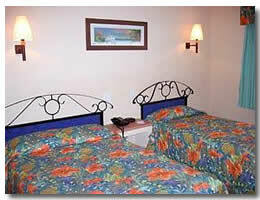 This hotel is not in the class of a beach resort so if you're happy with that you will enjoy your vacation.